I’ve been thinking a lot about popiah, a Singaporean-style summer roll, recently — not just because temperatures have been creeping up in New York City and the foods of my tropical native country are starting to beckon once again. 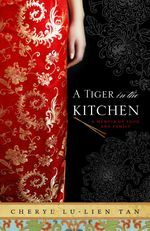 As you may know, I’ve been on a bit of a book publicity blitz with the February publication of “A Tiger in the Kitchen: A Memoir of Food and Family.” And in all the interviews and signings I’ve done, popiah — a roll filled with ingredients such as julienned jicama, shrimp, shallots, tofu — has been a recipe that has come up frequently. It’s a roll my grandmother used to make when I was growing up in Singapore — and it’s one that I crave in the U.S. as you don’t see it often on restaurant menus. Because it’s light, a little spicy and the filling has a nice crunch to it, it’s the perfect snack food or appetizer for warm weather — in Singapore, people often have popiah parties in which the filling, summer roll skins and various condiments are set out and guests mill about, casually making their own rolls whenever they feel like eating one. I used to think Martha Stewart was high maintenance — but that was before I encountered Heston Blumenthal. Yes, the man — chef/owner of the three Michelin-star Fat Duck in Bray, U.K. — is a molecular gastronomy genius responsible for tongue-boggling dishes like powdered anjou pigeon and scrambled egg and bacon ice-cream. But let’s take something like, say, bolognese, one of the most basic dishes in classic Italian cooking. It should be fairly easy to make … well, except that this is Blumenthal we’re talking about. His bolognese recipe includes this instruction: “Cook for at least six hours.” And this would be taking place after a good two hours or so of cooking and prep work. By the time my Blumenthal bolognese was done, it was 4:30 a.m. and the ragu had taken a total of 12 hours to make. I was mad at my oven, my bolognese — while also plotting a trip to Bray to give Blumenthal a piece of my mind. But then I had my first spoonful of the ragu, a rich and muscular concoction that was beefy and hefty but also so, so, so sweet. Each morsel had just the slightest hint of licorice and the beef was so tender that I wondered if it was possible that I was actually feeling it melt on my tongue. It was, in short, a joy to eat. For a first-timer in Paris, the Sister had not done badly. Sure, we hadn’t managed to get into L’Ami Jean or Hidden Kitchen, but the basics had been covered: Berthillon ice-cream, Laduree macarons, cervelas at Brasserie Lipp, a cocktail at the Hemingway Bar. What was left on the list? Much too much. Nonetheless, we decided, end with a bang we must. And so we found ourselves packing into a tiny elevator and rocketing into the gray Parisian sky. The lunch to end our lunches (for now) in Paris would be at a classic — Le Jules Verne in the Eiffel Tower, which, at more than 400 feet above ground level, offered a sweet spot to sip some bubbly and look out onto the city beneath.